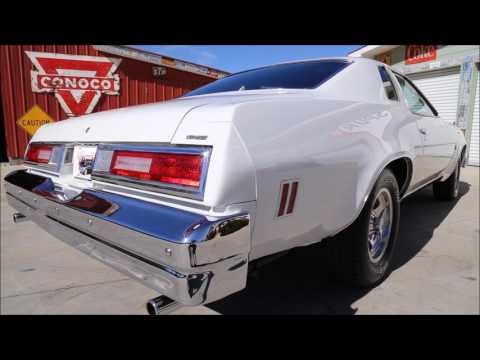 Up for sale we have a 1976 Chevrolet Malibu Classic. This car was owned by the same person since 1996 and spent most of that time here in Maryville, TN. The body is covered in the Antique White base coat clear coat paint. This is factory color combo for this '76. Down the sides, you can see it has arrow straight panels with great fit and finish. All the trim has either been polished or replaced. The bumpers appear to have been replaced. As for the glass, it all looks good along with the window seals and the weather stripping being in good condition. The wheels on this car are an old-school set of Aluminum Slots with a set of BF Goodrich White Letter tires. On the inside, it's done in the Black color scheme that complements the white perfectly. The seats are done in vinyl with the cloth inserts along with the door panels. The headrest and backseat have the Bowtie emblems. Looking at the dash it's very nice and the radio has been upgraded to an aftermarket AM/FM unit. This Malibu comes with Tilt Wheel and the driver side remote mirror. Under the hood, it looks phenomenal. It features the matching numbers 350 engine that's mated to the matching numbers 350 trans. Out back it has the 10 Bolt Rear End. Now the engine has been dressed up with a polished intake and Edelbrock Carb. The valve covers are chrome along with the pulleys and alternator. The water pump was also changed to aluminum. For brakes, it has the Chrome Booster and Master Cylinder with front Disc Brakes. Also, it has Power steering and Factory A/C. The exhaust flows through headers with dual flow master mufflers. Looking under the frame and floor are all rock solid with the body bushings being in great condition.